In the morning of June 12th, according to South Korean media, HUAWEI has ordered a 6.9 inch AMOLED display to Samsung, which will be used in the fourth quarter of this year or the first quarter of 2019. Without accident, these screens will be used on upcoming Mate 20 phones. HUAWEI is now using a dual flagship mobile strategy. In general, the first half of the year will launch the P series with the main appearance and photo, and the Mate series for business in the second half of the year. Order screen time from HUAWEI, the panel is likely to be used in Mate 20. It is worth noting that the screen is not curved screen. 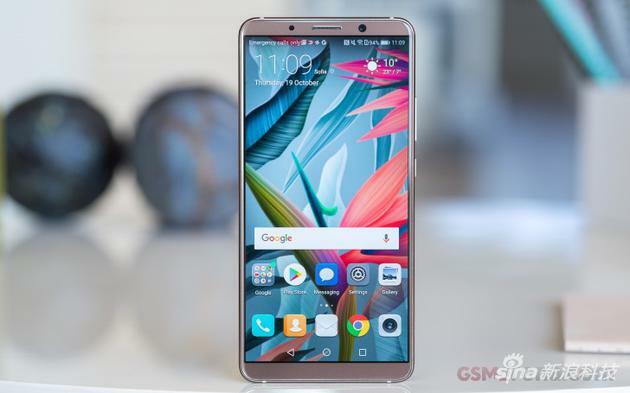 That is to say the new Mate machine this year or will have 6.9 inches large screen, so HUAWEI has a certain advantage in large screen flagship mobile phone. It is understood that the upcoming Samsung Galaxy Note9 will be equipped with a 6.38 inch screen, and Apple's new iPhone screen will be the biggest one is 6.46 inches. For the love of big screen users, Mate 20 may be more popular. HUAWEI launched a large screen mobile phone is related to the domestic mobile phone market. Compared with other regions of the user, the user Chinese more love big screen mobile phone. Foreign media that this seems to be Chinese characters on the screen on occupy larger area. At present, HUAWEI has a good market share in the mobile phone market Chinese, now the company wants to keep that. It is reported that the Apple Corp's new iPhone to launch a 6.46 - inch screen also takes into account the use of Chinese users, while HUAWEI opted to compete with a flagship mobile phone with a larger screen. It is understood that the HUAWEI Mate 20 series will carry the Hai Si kylin 980 processor, which is made by the 7 nanometer process process. Compared with the kylin 970, the performance and power consumption are not small. In addition, the Mate 20 series will be equipped with P20 and Pro as the Leica three camera, further enhance the camera experience.